Be With Records has announced the upcoming reissue of 10 library albums from the KPM 1000 Series and Themes International Music catalogue. Amongst those whose work will be reissued are library musicians such as Alan Parker, Alan Hawkshaw, Brian Bennett, Keith Mansfield and James Clarke. 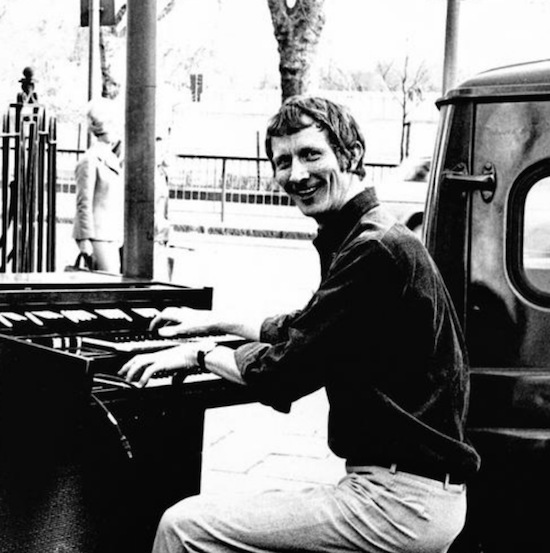 A new album from Brian Bennett and Alan Hawkshaw, titled Full Circle, will also be made available on vinyl for the first time as part of the series of releases. "These records were never readily available, being originally released as a ready-made, affordable alternative to commissioning music for television and radio," explains Be With. As a result of this, many records in KPM's back catalogue have been difficult to come by over the years with dedicated record collectors paying large sums to get hold of them. The audio for all of the reissues has been sourced from the original tapes and remastered for their release. Richard Robinson, who currently oversees KPM's brand identity, has been entrusted with recreating the original sleeves. The 11 releases will be available from November 16 but can be pre-ordered here.